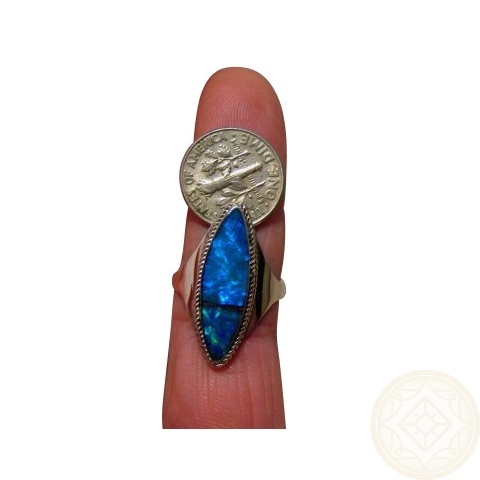 Opal Ring in Silver suitable for someone with Long Fingers! 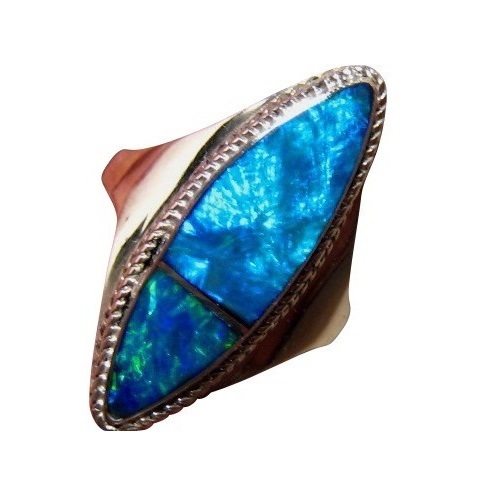 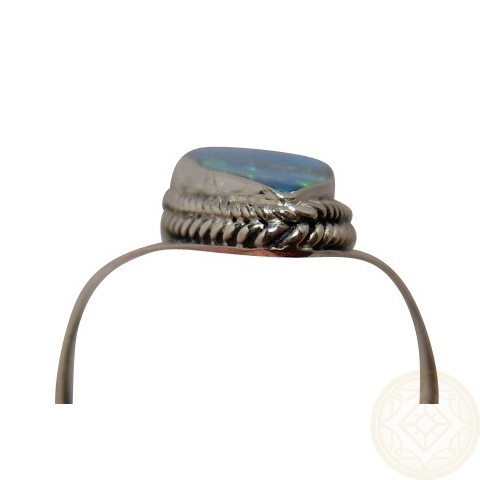 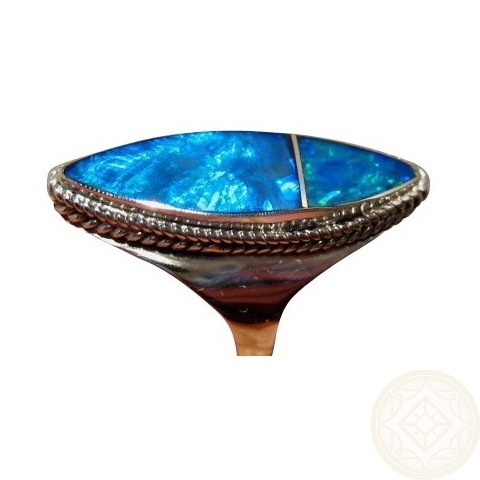 This 925 Sterling Silver Opal Ring is inlaid with Two Matching Lightning Ridge Gem Dark Black Crystal Opals with a mix of Blues and Greens. 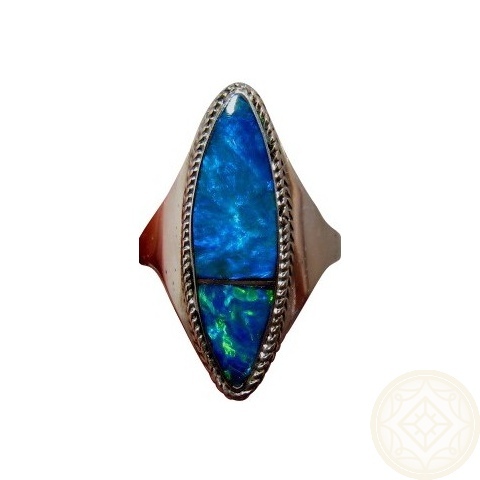 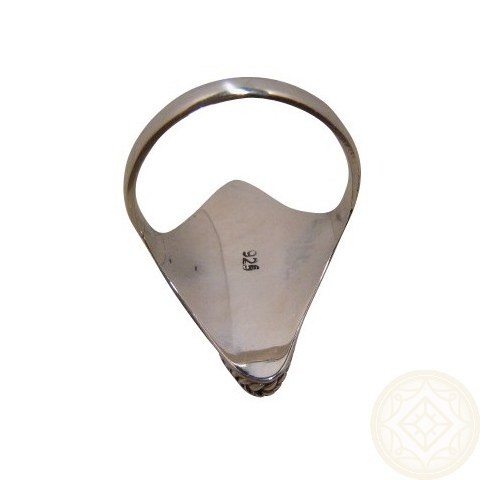 This ring cannot be resized.